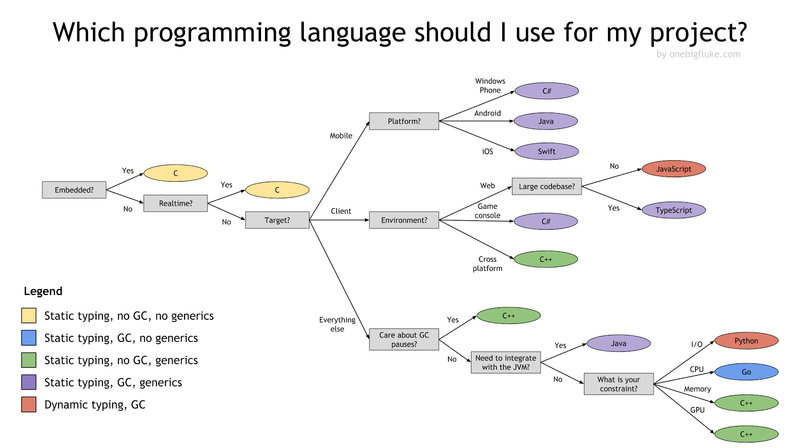 One Big Fluke › How do you choose the programming language for a project? How do you choose the programming language for a project? Here's my take as a decision tree. Which leaves/roots would you change? Why?